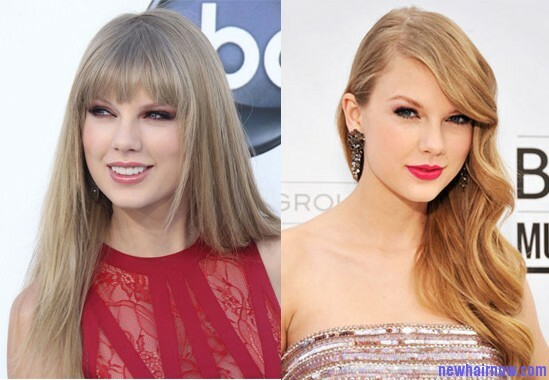 Taylor Swift changing hairstyles have always been an attention grabber for media and fans. All the hairstyles that she sported over the years are perfectly styled and she has maintained a cute and classy look throughout. Taylor has even tried hair extensions on a few occasions but soon left them as they started to damage her hair. Her new chopped hairs looks beautiful. Her natural hair color is appealing and the hair length and thickness is also appropriate, allowing her to keep various hairstyles. If it comes to the female celeb with the best hair waves and curls, she is surely the number one contender.